The Newham Bobbin Winder by SMP. This handpowered bobbin winder is suitable for almost all styles of bobbin. 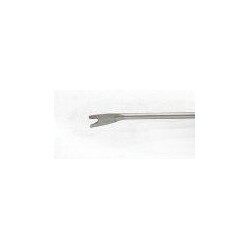 Crochet Hook 0.35mm. An ultra fine crochet hook with a blue plastic handle.